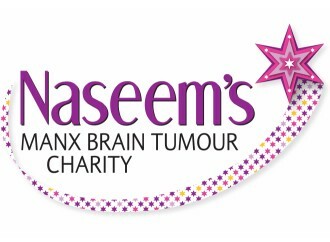 Welcome to Naseem's Manx Brain Tumour Charity website. Our aim is to support Island residents who are suffering with a brain tumour by way of giving them financial support and providing the latest information about brain tumours. You will see throughout the various pages, news about our fundraising events, where to look up information about brain tumours and links to the major UK organisations who work with sufferers and their families. We also provide information on the support we are giving research projects. In August 2015, Naseem’s Manx Brain Tumour Charity, set up in memory of a young Manx dancer, has donated £5,000 to Brain Tumour Research to fund research into treating brain tumours. The £5,000 donation will help to fund research at four brain tumour research centres of excellence, including one at Queen Mary University of London. Scientists there are investigating how glioblastoma multiforme (GBM), the most common and malignant type of brain tumour, develops in order to achieve better outcomes for patients. Sue Farrington Smith, chief executive of Brain Tumour Research, said brain tumours kill more children and adults under the age of 40 than any other cancer, yet 1 per cent of the national spend is allocated to this disease. Brain Tumour Research helps fund an annual £1 million programme at its Centre of Excellence at the University of Portsmouth. Further partnerhsips announced last year with Queen Mary University of London and Imperial College, plus Plymouth University will pave the way for a £20 million investment in brain tumour research over the next five years. Since the Charity was set up in October 2009 by Naseem, we have supported a number of people locally and hopefully have created an awareness of brain tumours and where to go for help. We would welcome any feedback you may have or if you would like to contact us then get in touch our address is on the contact page. Please also note, we have no admin, buildings costs or outgoings all monies donated go straight to patient comforts and to support research that will benefit Isle of Man brain tumour sufferers! There are several events coming up throughout the year and we welcome your support, we also have a Facebook page entitled Naseems Manx Brain Tumour Charity. Please join us if you can. Finally "Please note that not all brain tumours are malignant, so find out more from our pages". If you wish to donate on line then please click below. The Charity wishes to make the process of applying for funding as easy as possible. Please visit the Apply for Grant page for more information.